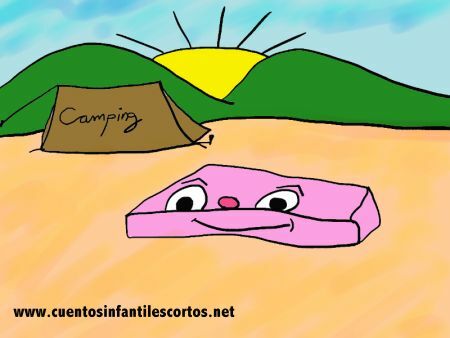 There once was a camping ground where many boys and girls would spend their holidays with their parents. Charles was one of the kids staying at the site. He shared a very large tent with his four siblings. Charles was different from other boys. He didn’t like soccer, he didn’t like to play with toy cars, and he didn’t like most of the things boys of his age did. Everyone at the site would tell him he acted like a girl just because he didn’t like soccer. 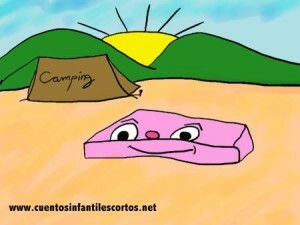 Charles walked around the campsite with his lucky charm, a pink napkin that he carried in his pocket. Nobody knew why he carried that napkin around. One day a boy saw Charles pull the pink napkin out of his pocket and bring it to his nose to smell it. “Charles is a girl! He likes the colour pink!” yelled the boy. “I’m not a girl,” Charles replied. “This is a napkin which I used on the best day of my life. It is pink because I wiped cotton candy off my mouth. My parents had taken me to an amusement park and we had a great time. It was a wonderful day.” Charles continued. “So now, when I’m sad, I pull the napkin out and remember that wonderful day and then I no longer feel sad. Do you have anything that reminds you of a great day in your life?” asked Charles. The children all listened astonished. They walked over to Charles to check out the napkin and smell the candy on it. The children understood then that it´s not fair to judge a book by its cover, and that you shouldn’t form an opinion of someone based only on what you see.